Evgenii has an expertise in machine learning, data analysis and engineering, numerical methods and mathematical modeling. He graduated from the Faculty of Computer Science of Higher School of Economics in 2016. His BSc thesis and following work as a member of Prof. Gordin’s group at Hydrometeorological Center of Russia was dedicated to the development of high-order compact difference schemes for various equations of mathematical physics. 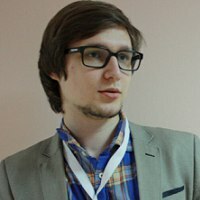 In MSc thesis, devoted to Machine Learning for Game Analytics, Evgenii designed and implemented an original system for churn prediction, which is now used in production. At Skoltech Evgenii is working on the application of machine learning methods for elastic strain engineering in collaboration with Ju Li’s research group at MIT. Gordin V. A., Tsymbalov E. A. 4-th order difference scheme for differential equation with variable coefficients // Mathematical Models and Computer Simulations, vol. 29, no. 1, 2018.